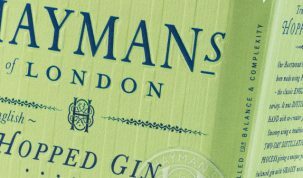 If you don’t know about Emma Stokes aka Gin Monkey then we take it you don’t like gin or you’ve never been to Casita (shame on you). However, we’ll stop judging you because now is the perfect time to get to know this gin guru and booze fanatic as she’s only gone and launched a book. An awesome book at that. 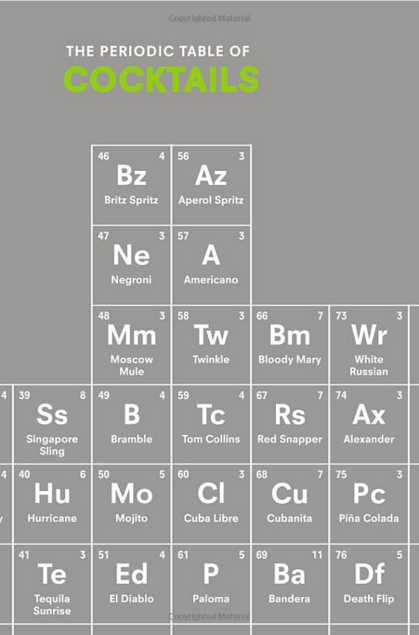 Introducing you the “The Periodic Table of Cocktails”. A book filled with 106 classic cocktails that are arranged in the logical ordering of The Periodic Table of Elements. Finally a science lesson we can get on with. Forget Magnesium and Mercury and instead learn about margaritas and martinis.. they go down a LOT smoother, trust us. The theory is, when you find a cocktail in the table that’s right up your street you should also like all the other cocktails in the same column plus the drinks immediately to the left or right. This is because they will have similar characteristics. Clever, huh?! So that’s the deal with the table (which comes as a very cool pull out poster… whack it up in your kitchen). When inside the book you can then learn all about you favourite cocktails old and new. See how they were created by who, where and when, plus how best to enjoy them. Basically, it’s one of the only drink books you need, plus it makes you look smart and that. Get it now on amazon for a measly £6.99. Far cheaper than our GCSE science books, and a lot tastier.